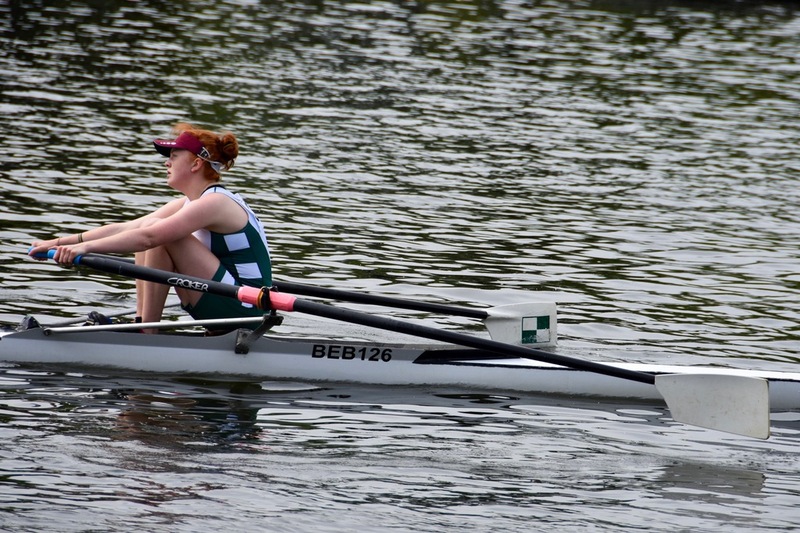 Sarah and Jonathan travelled to Oxford City Sprint Regatta on 19th August. In the morning they raced in the open (mens) masters doubles category, and won their two races comfortably to win the event. In the afternoon division they entered masters mixed doubles, and had two tougher races, beating City of Cambridge in the semi final and then Upton in the final. 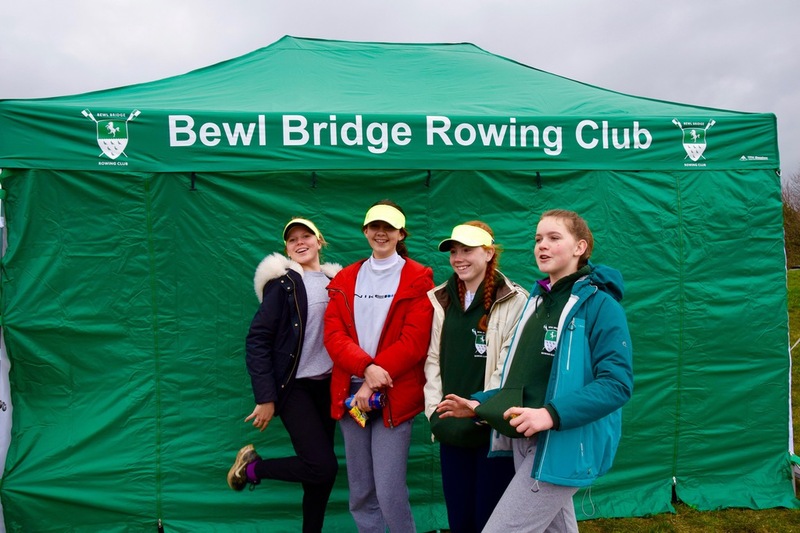 The BBRC juniors and students had a fantastic weekend's mini rowing camp. The weather was perfect. 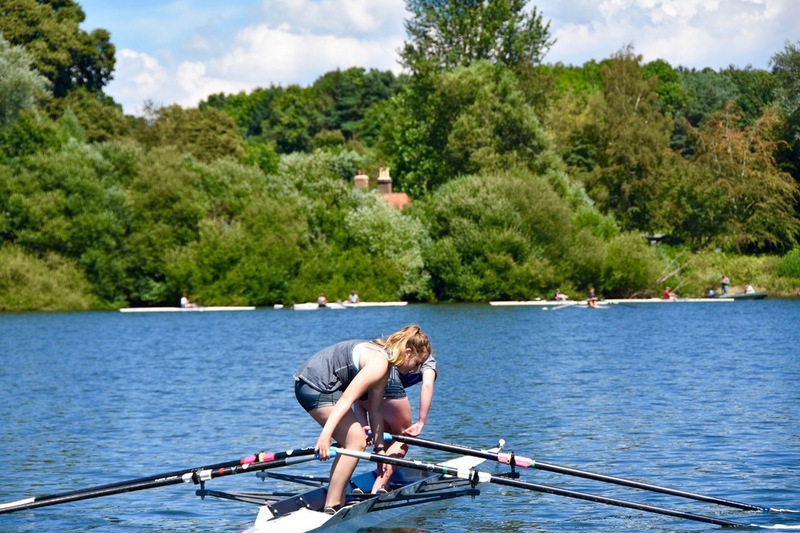 The juniors spent 2 days taking part in rowing sessions, skills, including rigger dips, standing and turning, swapping blades around and a mini rowing slalom. This resulted in many toppling into the water, giving a welcome coolness in the heat. On the Saturday, a big thank you to Helen Lawton who gave a practical resuscitation session. The juniors enjoyed taking part with the manikins, and gained valuable life saving tips. 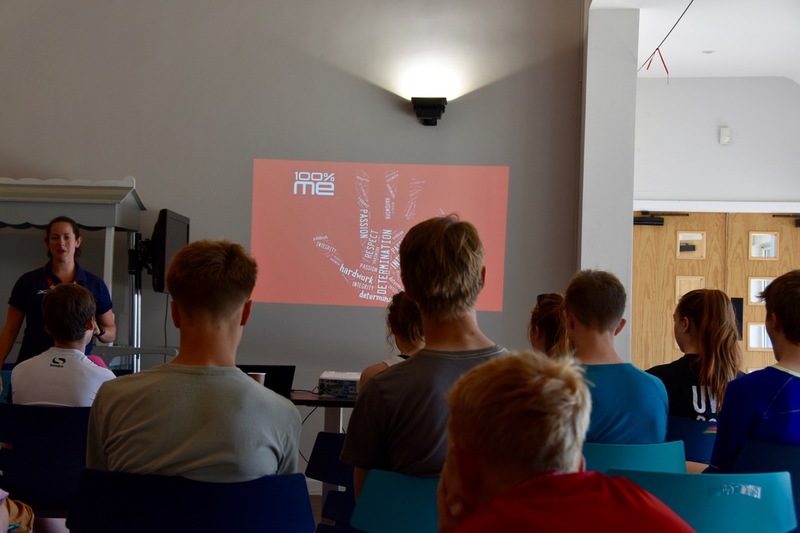 On the Sunday a special thank you to Jacqui from British Rowing, presenting the 100% Me Clean Sport workshop. What a fantastic weekend. The juniors are amazing, taking part in this weekend has seen massive improvements in their confidence, skills, technique and fitness, a big well done. Also a big thank you to the volunteer coaches with whom this won't have happened. Thank you Miles, David, James, Wendy and Greg. Without you.. 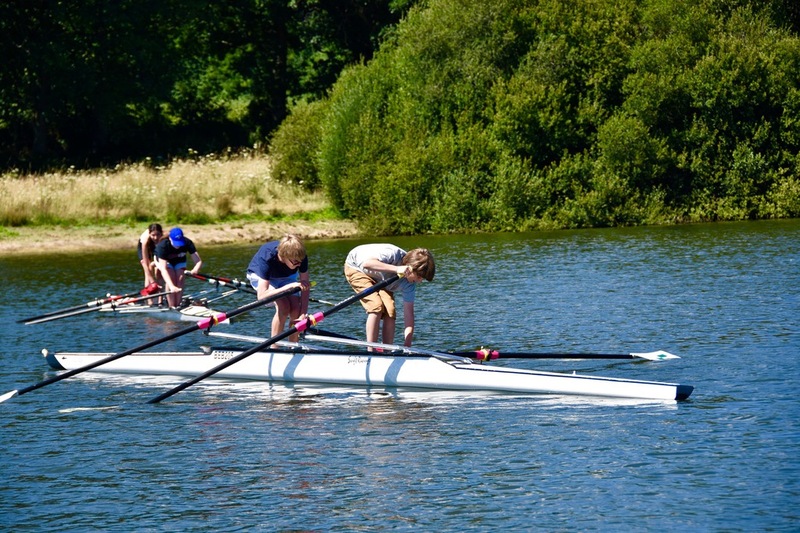 Junior Rowing at Bewl wouldn't happen. 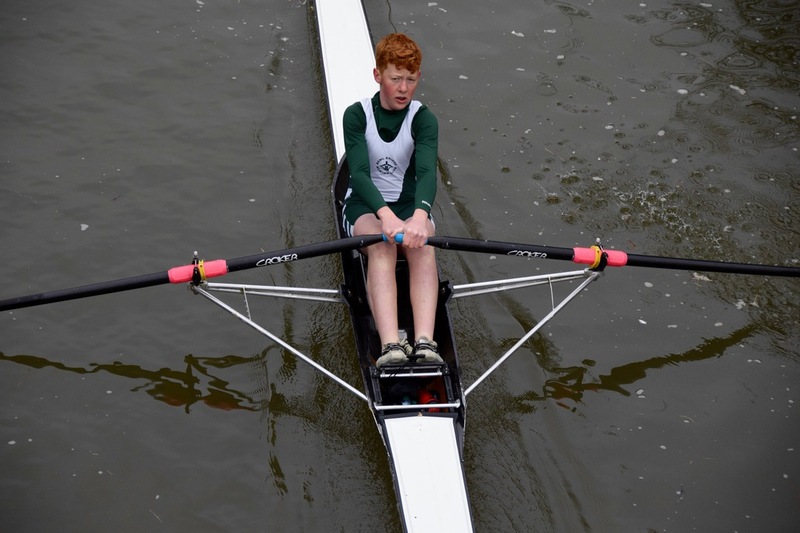 BBRC took 18 juniors to Ball Cup Regatta, Eton Dorney. It turned out to be a fantastic day, great weather, great conditions and great racing. 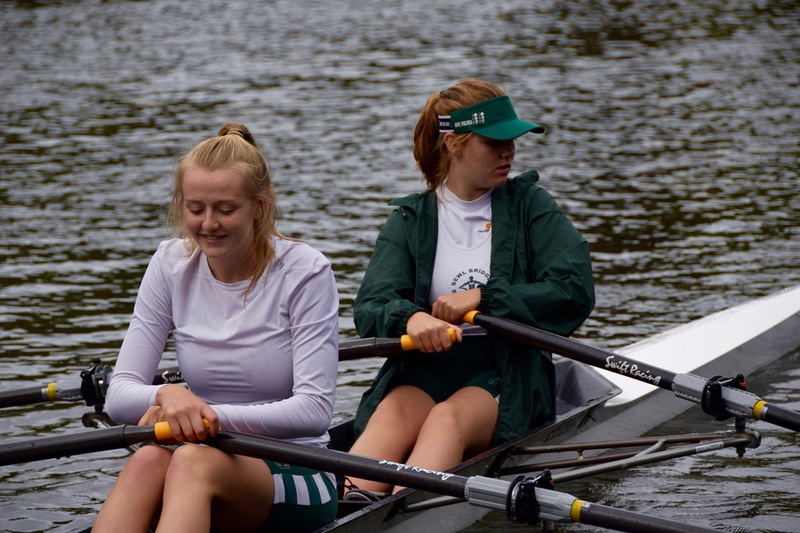 We had some fantastically close races which made for great spectating, Tess in the single just missing out by a bow bobble. Most of our crews finished in the top half of their event. Hope everyone enjoyed the day. 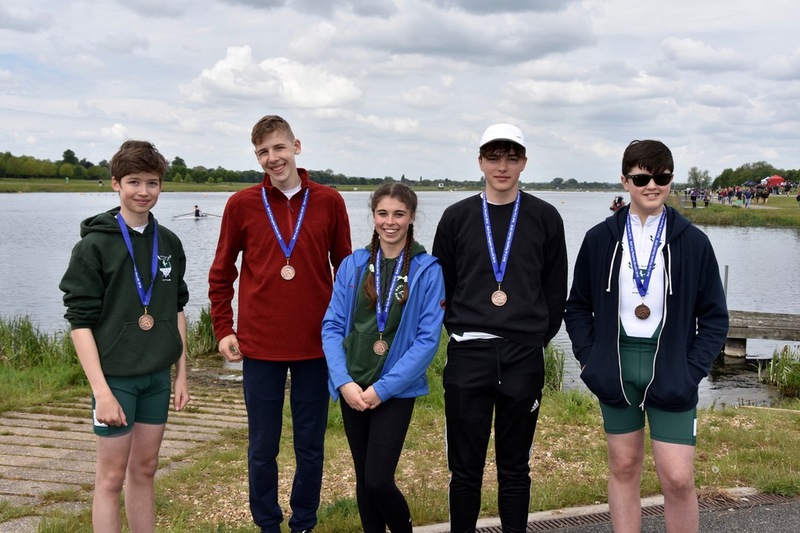 Bronze: J15 4X+ Ollie, Jontie, Harrison, Matt, cox Saskia. Well done to everyone at Walton & Weybridge Regatta. 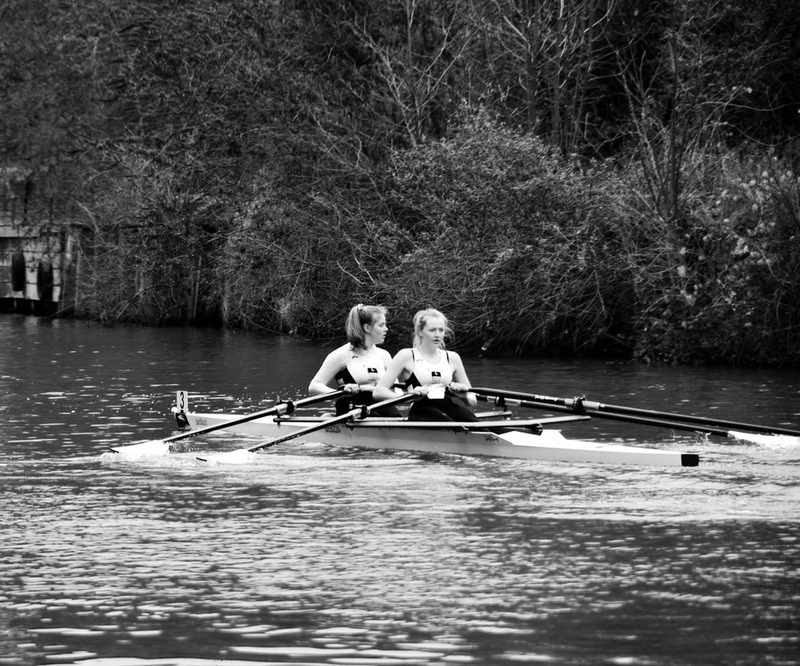 It was a good day, with competitive racing on the lovely Thames. We had some great racing, with a few of our crews getting through rounds into finals, Rob & Alastair in Mas D 2X, Biba & Martha in J14 2X. 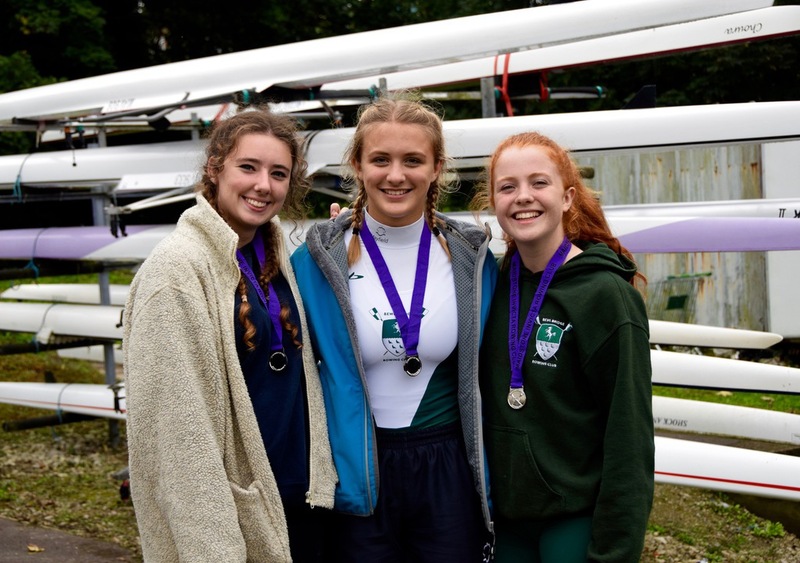 Well done also to our juniors who took part in their first ever race together Tess, Isobel, Suzi, Darcie, cox Alex in J15 4X+. 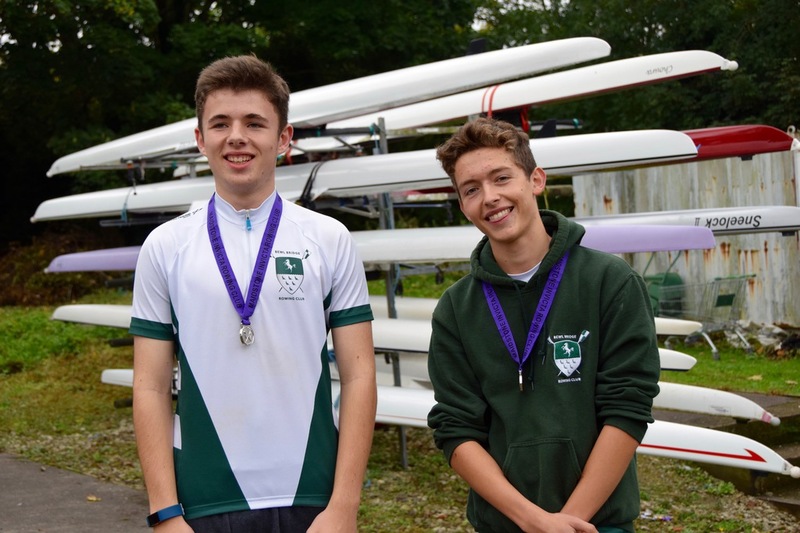 Our Mast 4X winners were: Hagen, Ben, Rod and Angus. Thank you to everyone who came along and supported the BBRC quiz evening, and our Quiz master Captain Rob. We had a fun, informal evening with some great fish and chips provided by the Waterfront. We made around £300 towards our continuing boat refurbishment. We had 15 members of the Junior squad competing at the JIRR Trials. 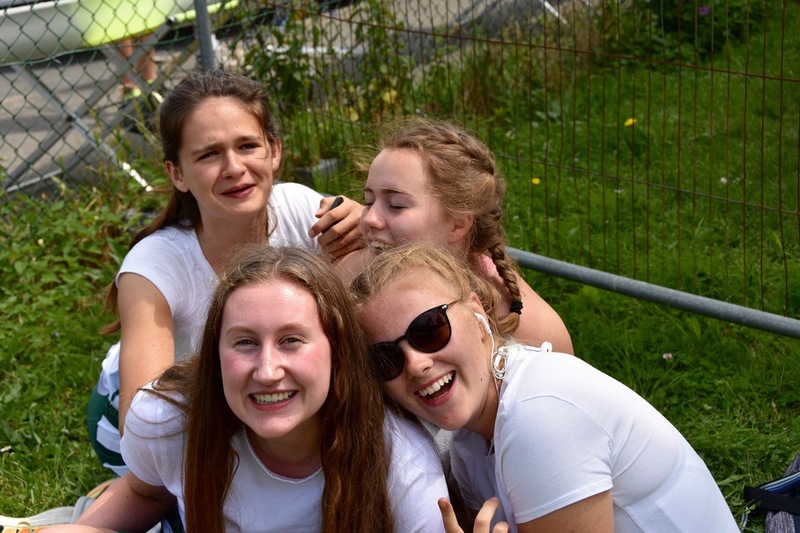 Congratulations to all of you on your performances and on your proficiency in rigging, boating and most importantly supporting each other – it was great to see. My thanks (and that of the Regional JIRR Lead), also goes to the support team of Robbie/Hannah/WillR with ChrisC (who ended up providing the entire timing team for the event) as well as other parents on safety throw line duty. 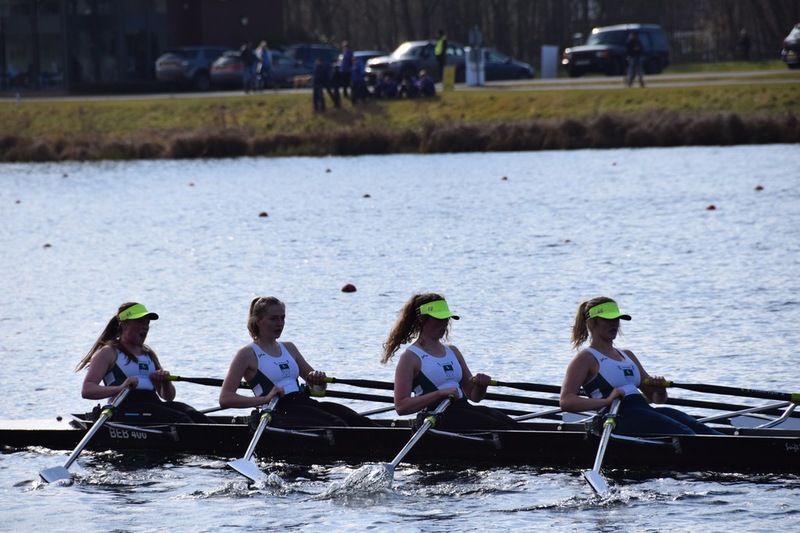 As a result of the performances, our WJ14 4x+ and WJ16 2x have been selected for JIRR in Nottingham 21 April. 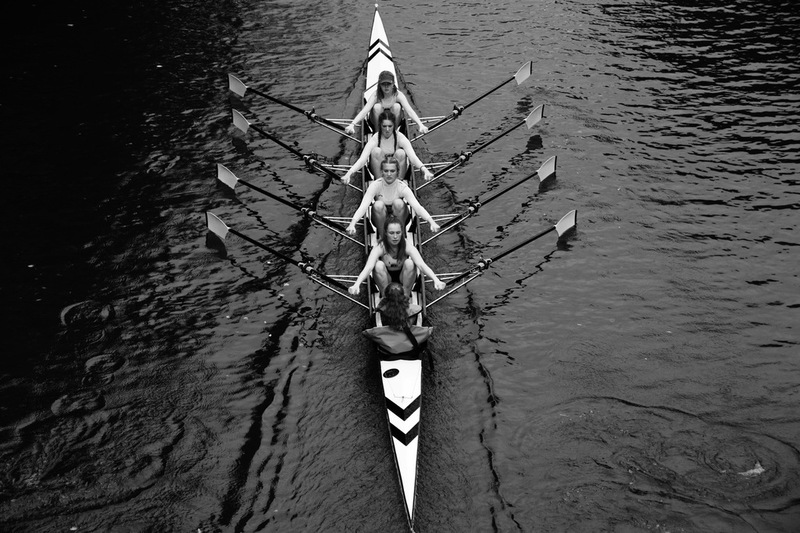 Well done WJ14X+ Abi, Jess, Martha, Biba, cox Saskia, WJ16X Tessa, Abby. 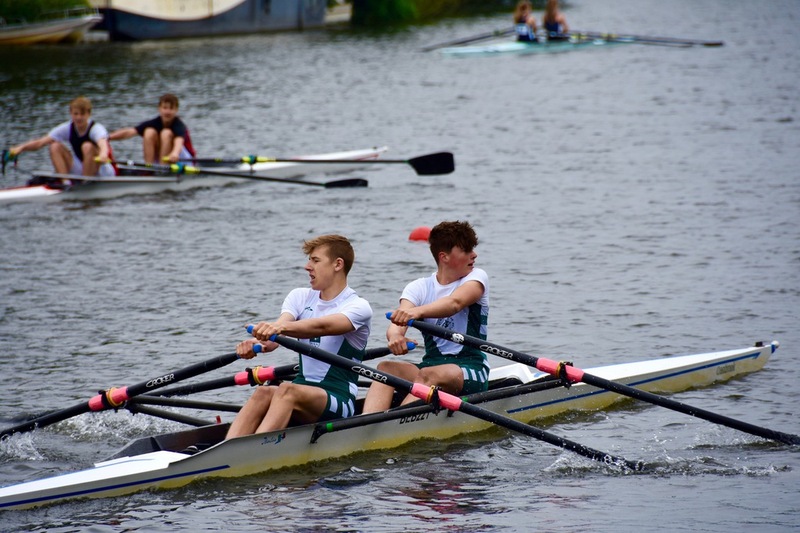 Our J15 2x boys came very close and missed out by 4secs and J16 4x+ by 8secs. Well done all. 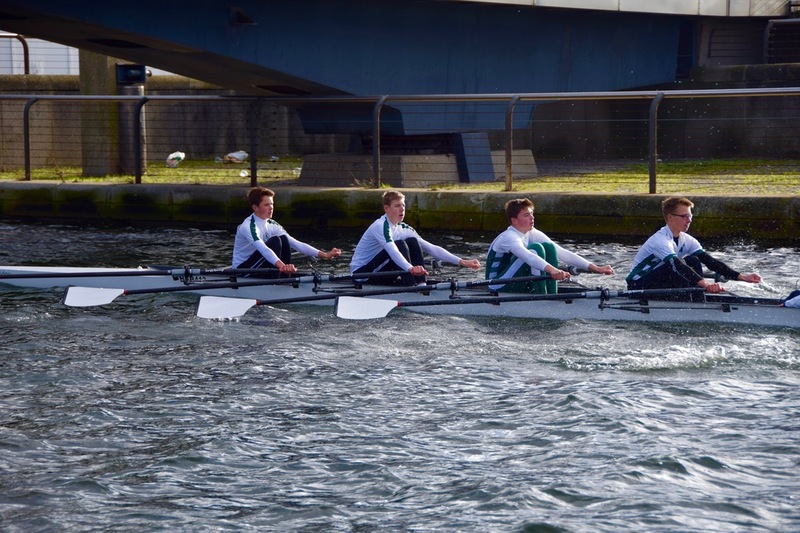 This is the first time our junior crews have gone to Hampton Head. 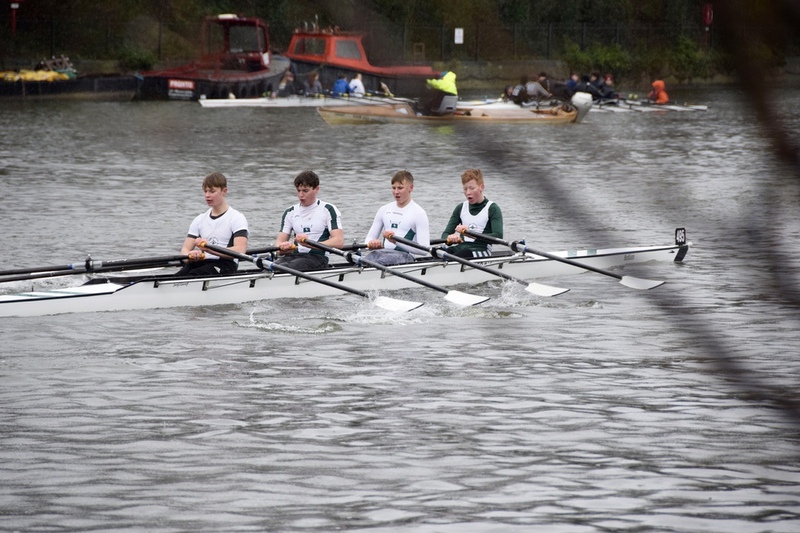 We went for the experience to take part in what must be one of the largest Junior Head's in the country, with over 550 crews entered. Well done to our 4 crews. 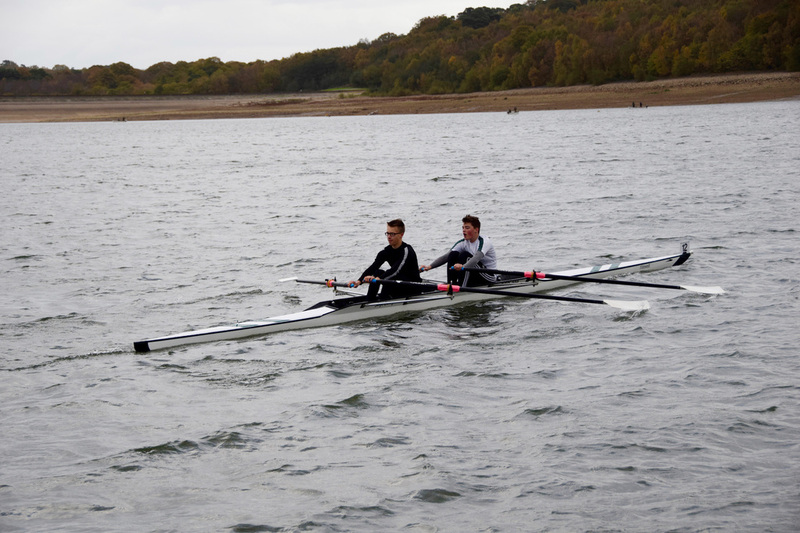 BBRC would like to massively thank the Rowing Foundation/Project Oarsome for their support to help refurbish our 4X- Lamberhurst. 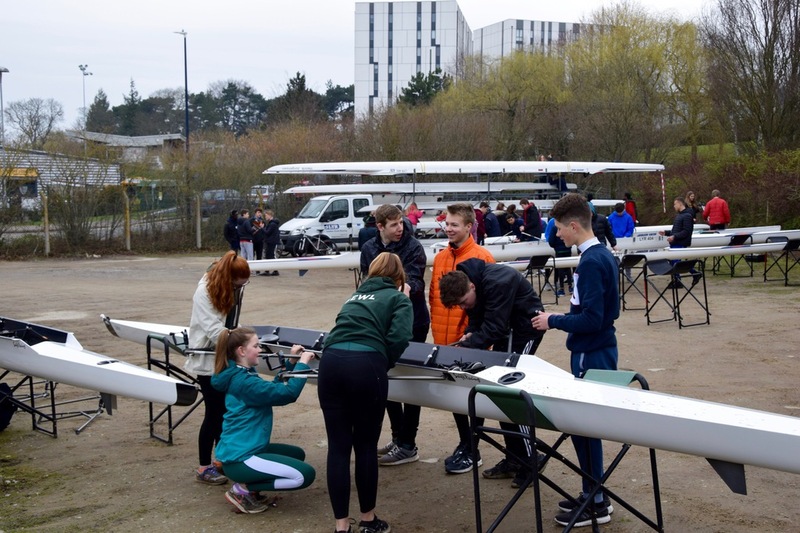 This boat is one of the most used boats at BBRC and having it refurbished will continue our passion for teaching youngsters the art of rowing... 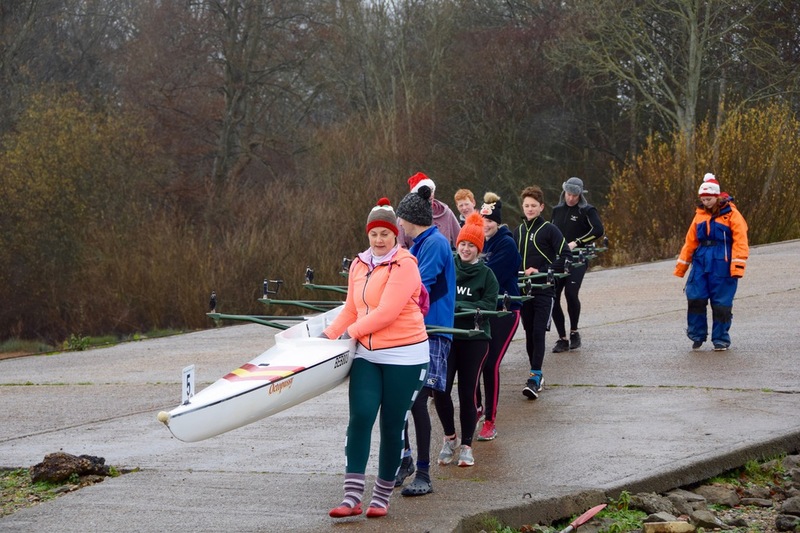 Thank You Rowing Foundation-Project Oarsome. 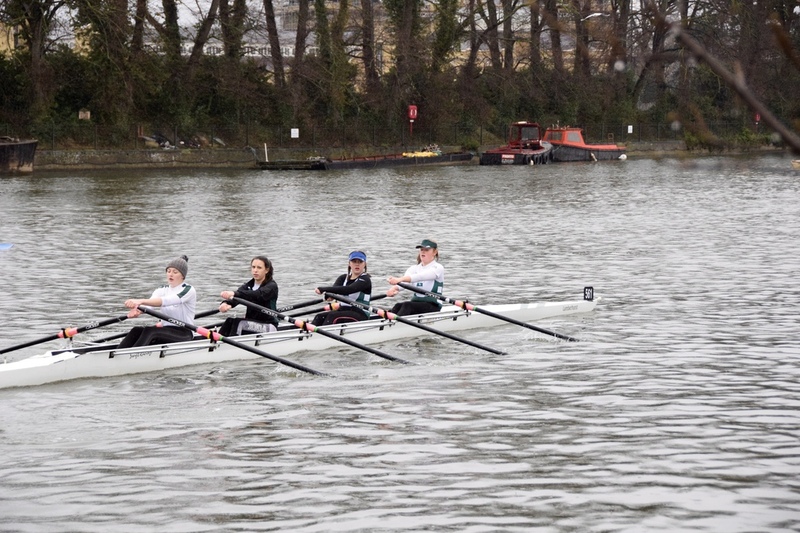 Bewl had two crews racing at Weybridge Winter Head. 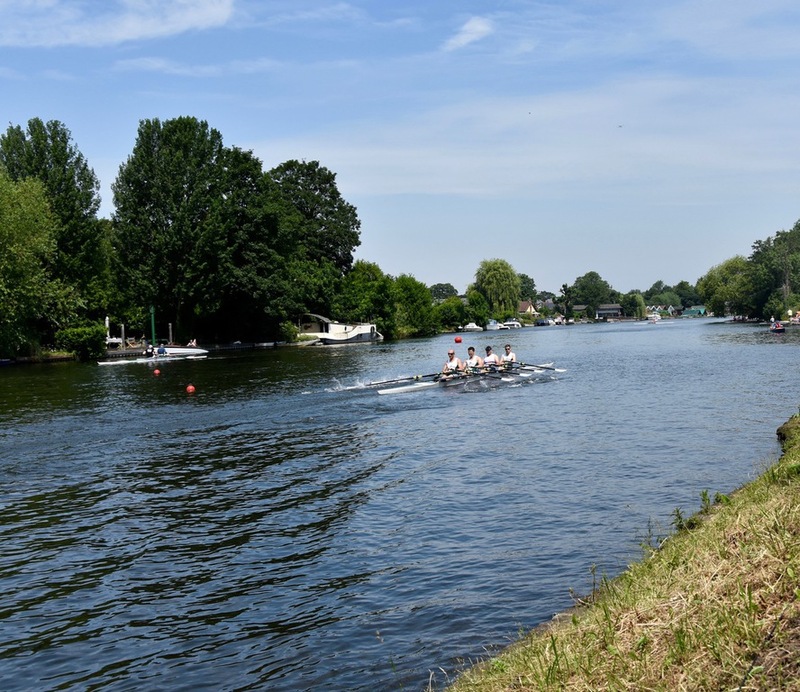 The course was 3,000m downstream on an interesting stretch, finishing near Walton Rowing Club. We had two mixed masters doubles entered, but in the open (mens) masters event, as there were no mixed double events on offer. 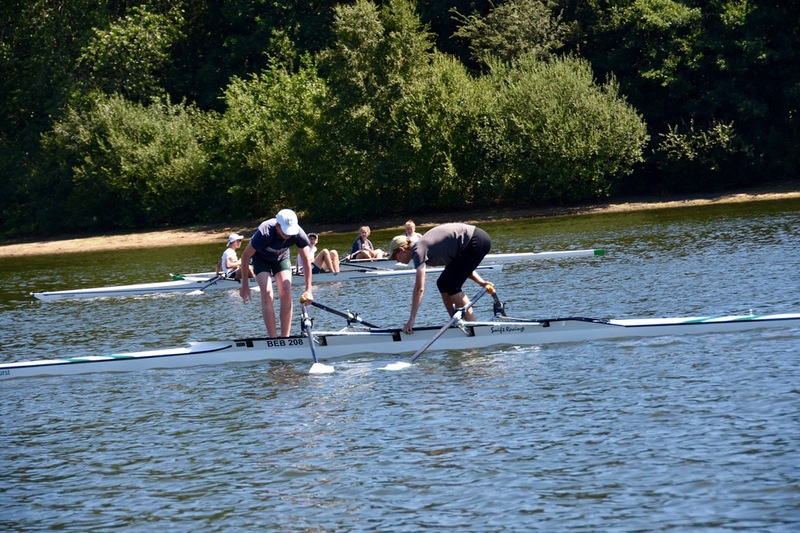 Hence both doubles were in the combined Masters C- F Open 2x event which had seven entries in total. It was good water conditions, but very cold, with some light rain to add to the pleasure. 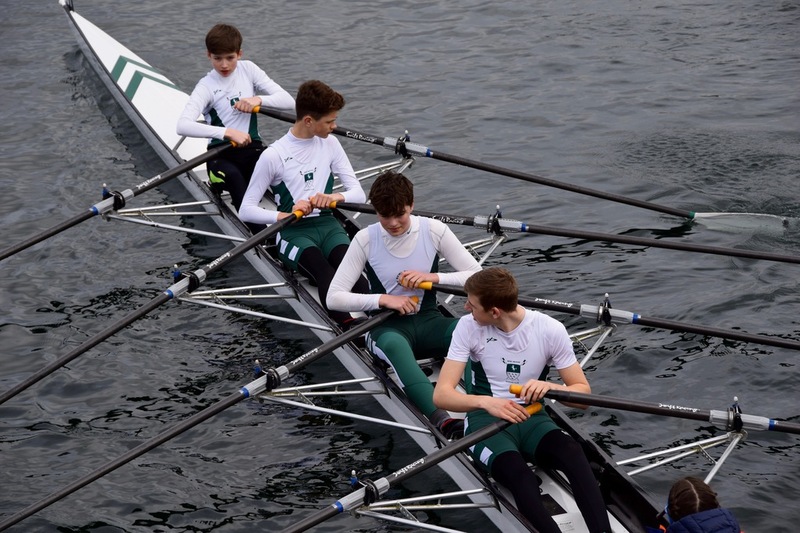 Luckily both crews were starting in the top thirty of the first division, so didn't have to wait too long at the start. Rowena and Rob put in a very respectable performance, including being over 30 seconds ahead of one of the men's doubles. Sarah and Jonathan won the category. It was a great day out, and an enjoyable experience. Marshals were helpful, well-organised and friendly which definitely helped. Although the day didn't quite go to plan, we still managed to get one round of Plum Pud races in after the fog lifted. Great to see so many BBRC members and families. 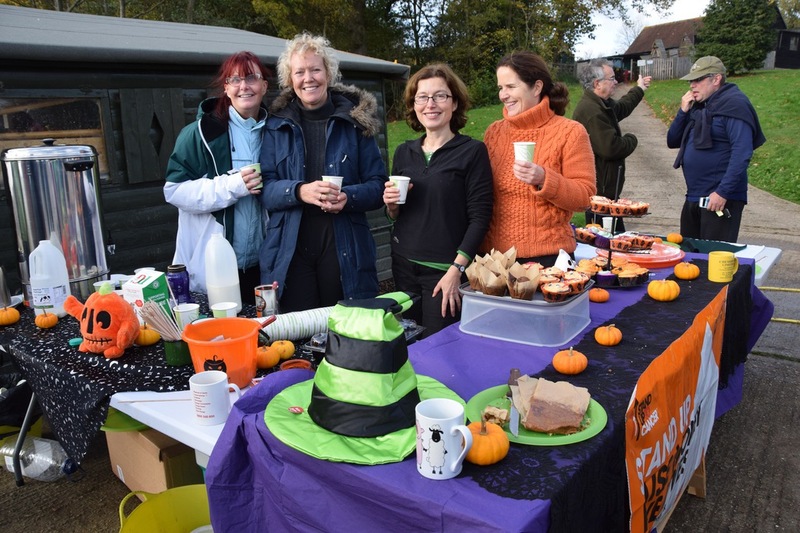 Thank you for everyone who helped organise the morning especially the BBRC 'catering' ladies who put on a great mulled wine and sausage sandwich. Hagen Jahnich, Mike Maunsell, Jonathan Morris and Sarah Morris raced over the 6,000m course on 2nd December. Due to timings of tides, the course was back to front this year, racing on the ebb tide from the Putney stretch up to past Chiswick Bridge. A very early start for all - boating from 8.30am. 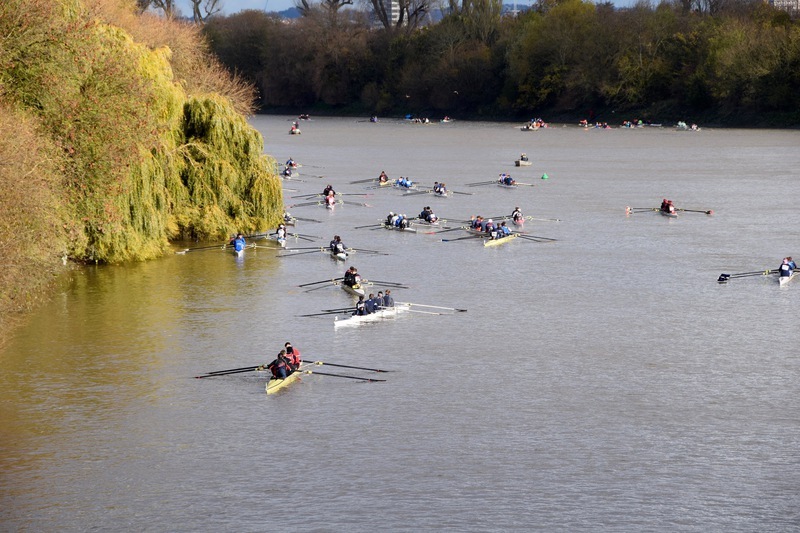 There were well over 500 scullers in total, with the river being closed to other traffic for several hours. 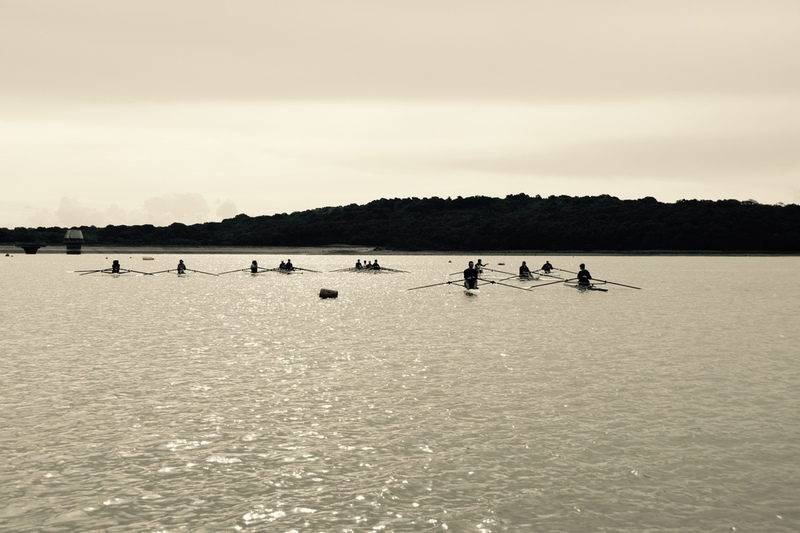 It was quite a spectacle with so many scullers on the water all at once. Weather conditions were dry and calm - but chilly. 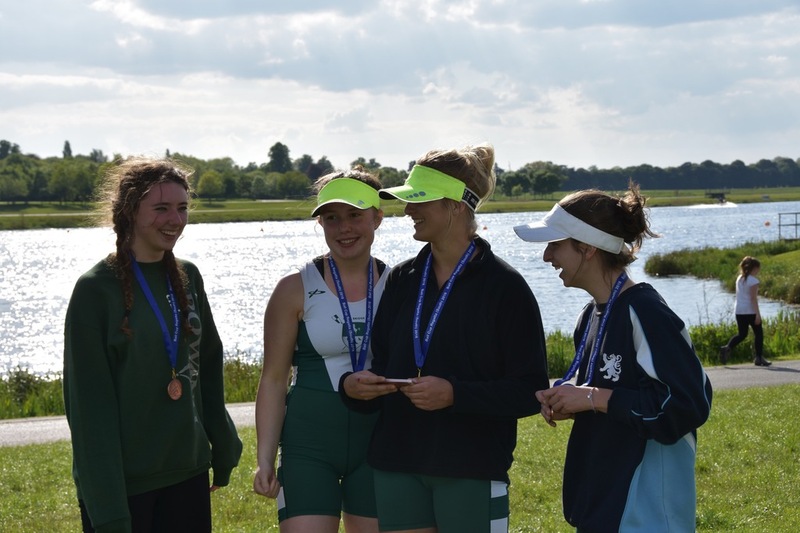 All four scullers produced strong performances, including Sarah winning WME1x and Hagen coming third in MD1x. This was the first time Bewl Juniors had gone to the Fours Head. 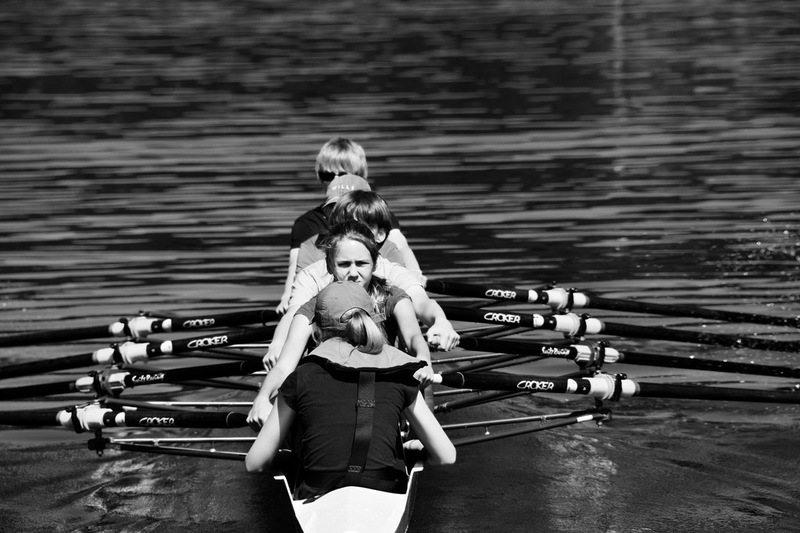 We took a girls junior and a boys junior crew. 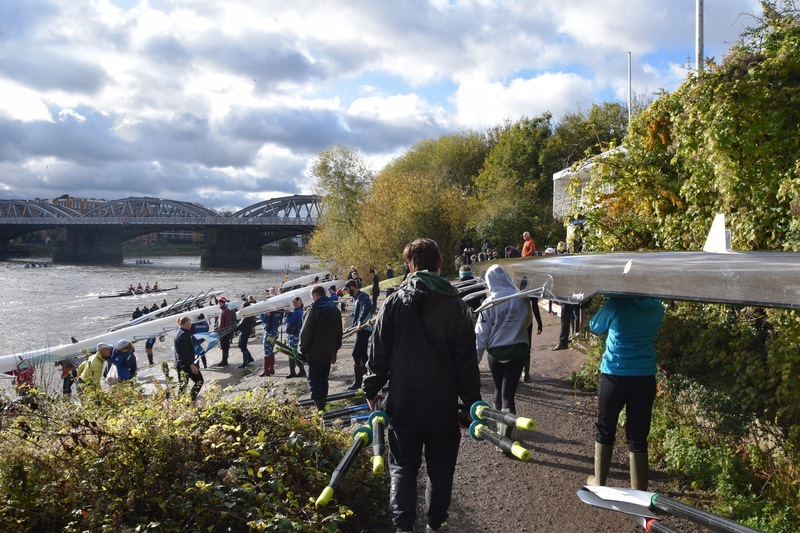 There were over 480 crews racing 4 1/4 miles from Mortlake to Putney. Bewl boated from Civil Service Boat Club. 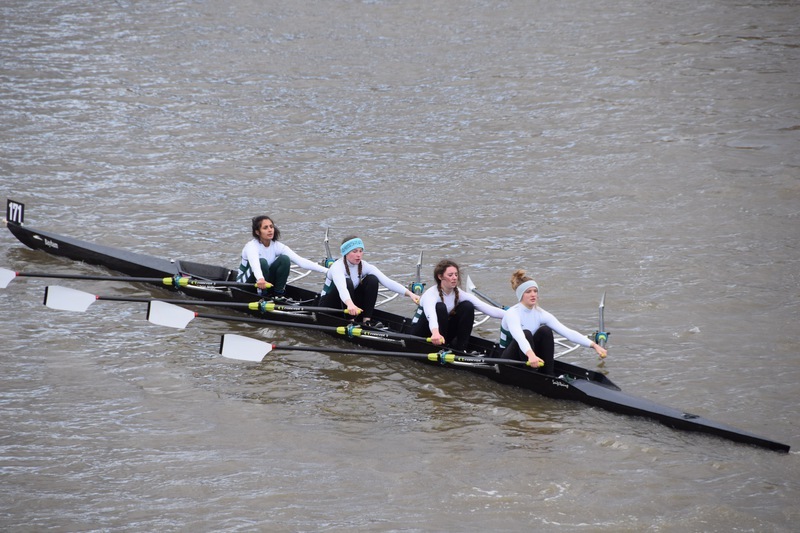 It was a busy day but the Four Head organisation was outstanding, and our crews who haven't got tideway experience did fantastic. They navigated their way down the course fantastically gaining great experience. 'Fun' might not have been the word when they had to row back up to our boating venue, but hopefully life long memories. 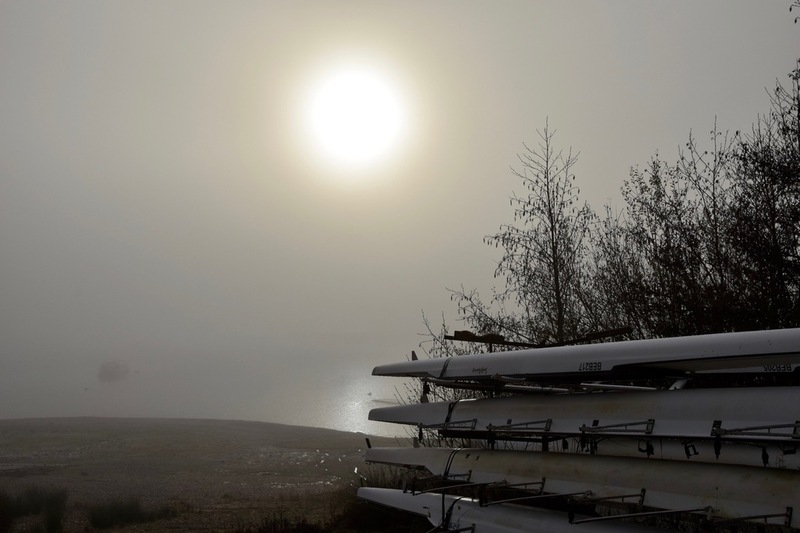 Look forward to next year..
BBRC had 17 crews entered in 2 divisions over 2750m. 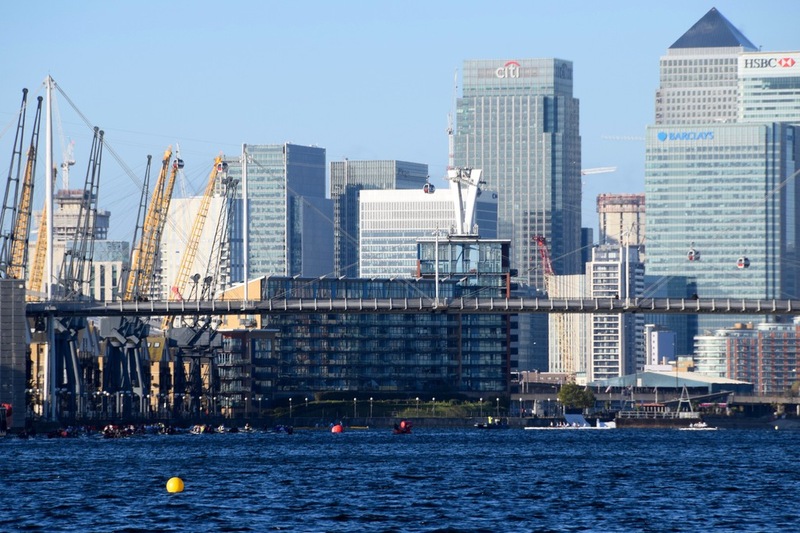 Docklands always offers challenging conditions, under a spectacular urban landscape of Canary Wharf, City Airport and the O2. We had a fun club day highlighted by 'Combie Catering.BBRC'. Bewl crews looked fantastic and did great. 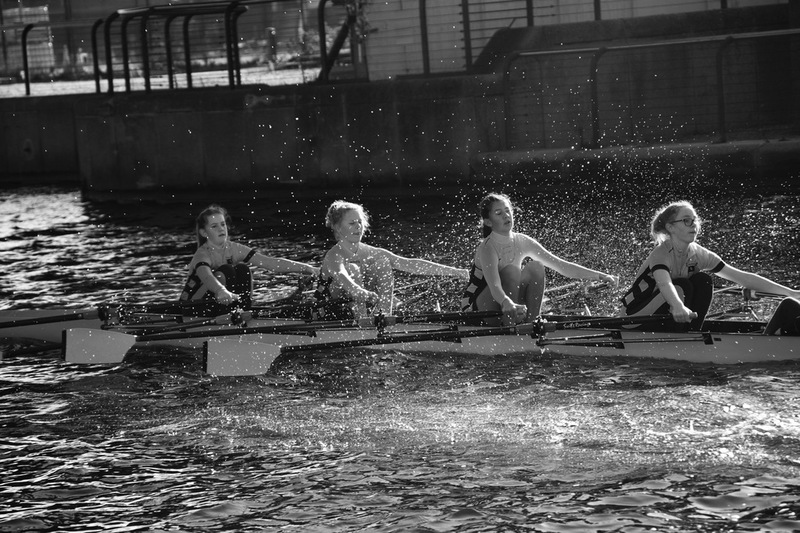 Our junior girls won WIM3 4X. Well done everyone. 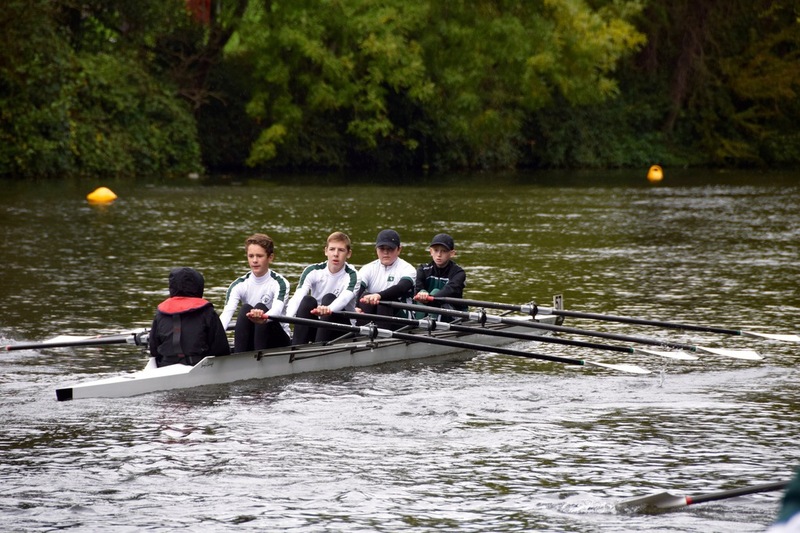 Mike Maunsell, Jonathan Morris and Sarah Morris raced at Henley on 4th November. 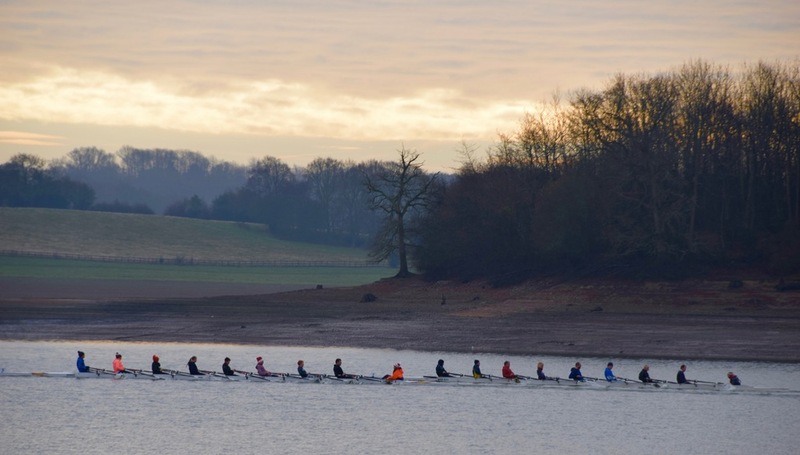 The 3,000m head course was upstream to the royal regatta finishing line. 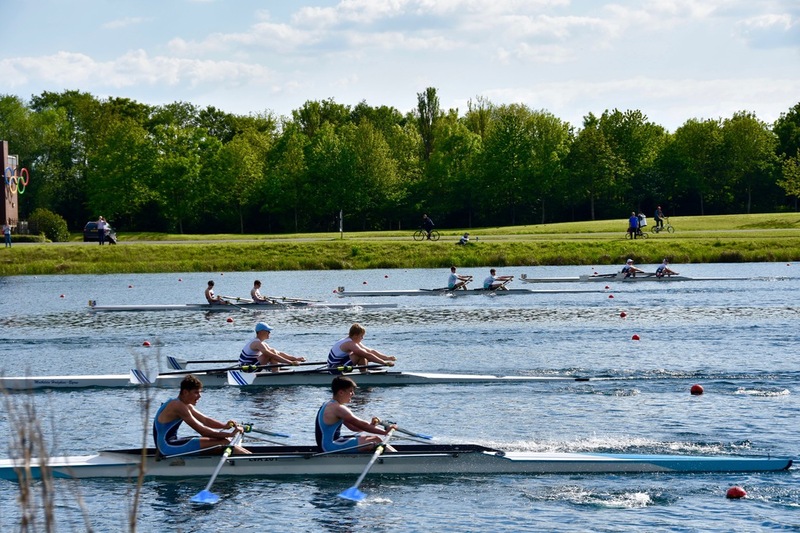 There were about 600 entries in total with a huge junior entry (eg over 90 junior 18 men scullers). It was very wet in the morning while boats were being rigged, but then it settled to a breezy day with the odd light shower. In the morning Sarah won WME1x comfortably, also beating the times from the age group below. In the afternoon division Mike and Jonathan both raced in ME1x, but as usual at this event the opposition was pretty strong, so no silverware on this occasion, although it was useful to measure against other regular opposition etc. 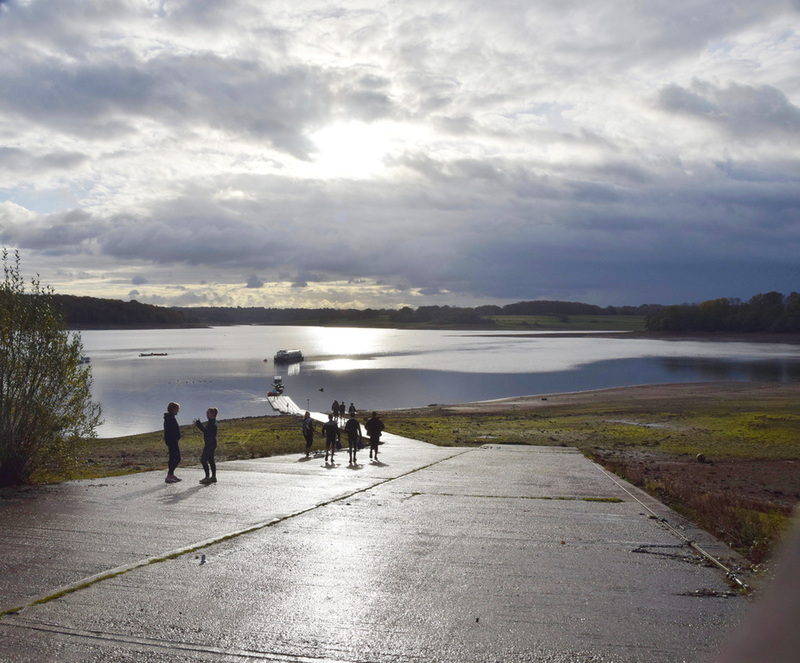 A bonus is that the course is very scenic, starting just above the lock and finishing up the regatta course. We had a great turn out of 26 entries to this years Autumn Head of Bewl. Conditions were challenging at times.. 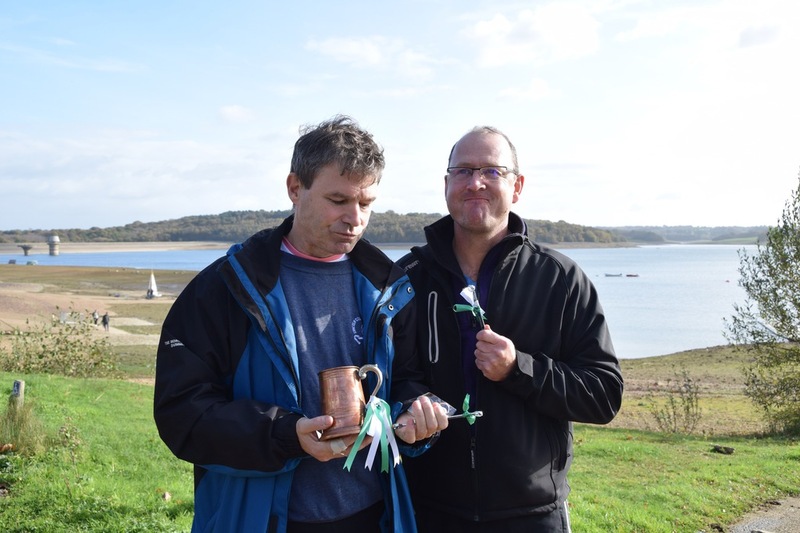 Thank you Rob Purves for organising and all the volunteers for launch cover, timings, photos, teas and pontoon assistance. 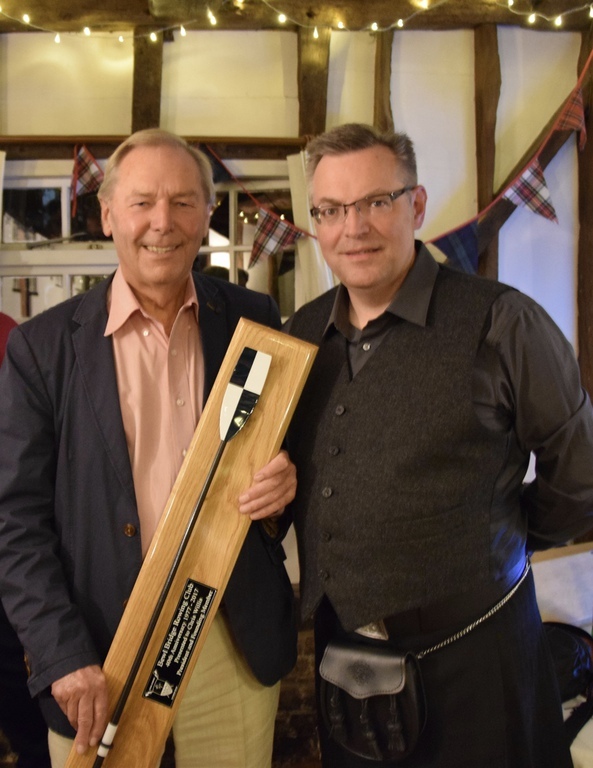 Our overall winners were Angus and Rod. Junior boys best performance cup went to Will and Jontie, Junior girls best performance went to Martha and Jess. 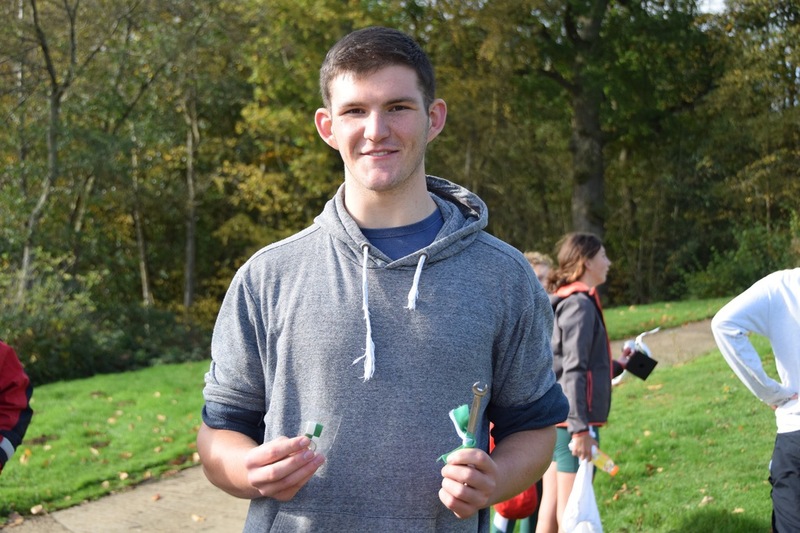 Fastest sculler Seb, The fantabulous wooden spoon went to John . 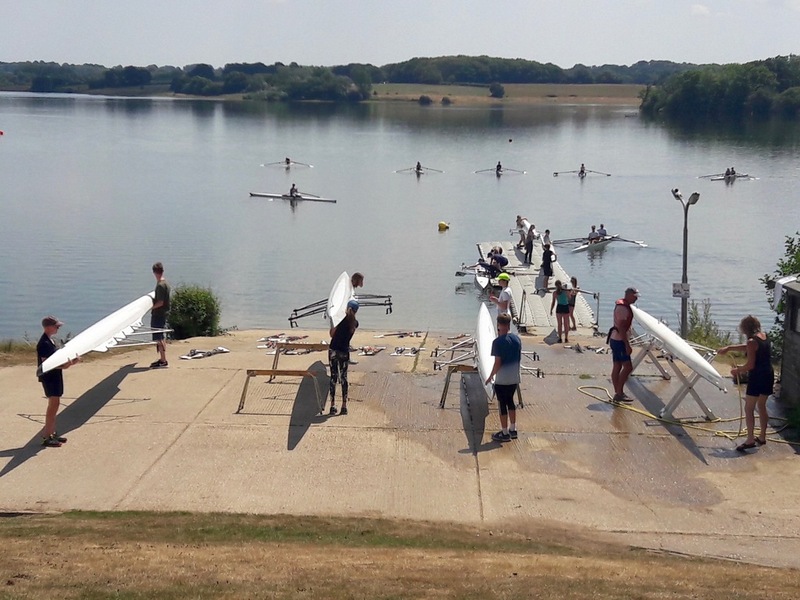 In addition to all the fun on the water, we had a fantastic response to our charity at the event: ****£318.90**** raised for 'Stand up to Cancer'. A big thank you to Christa P. and Wendy B. for organising the teas for this charity, and all the mums. dads and members for supporting the event with cakes. Bewl entered seven doubles in the Pairs Head this year, which must be a record for us. 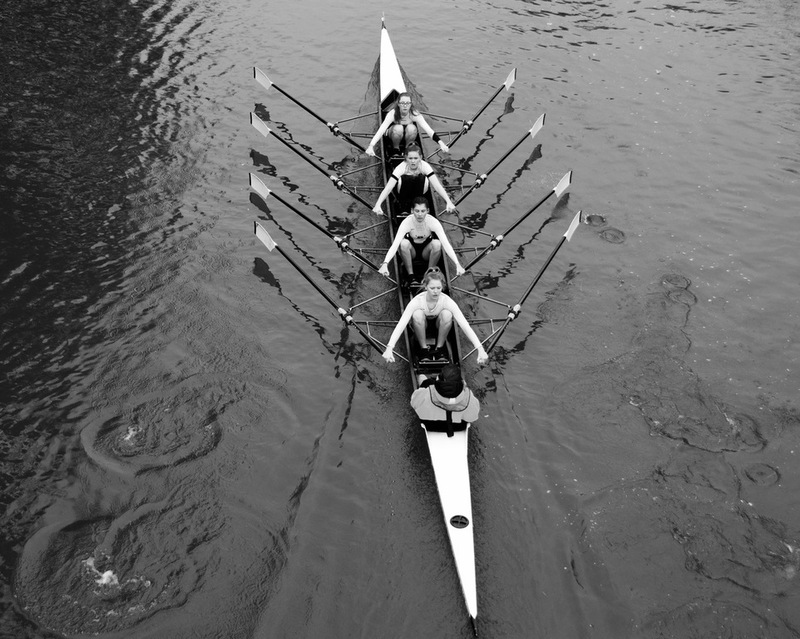 The Pairs Head is the largest race of its kind with over 500 crews racing from Chiswick Bridge down to Harrods wall, which is over 4km. The weather was kind and Bewl crews acquitted themselves well. There was some drama involving a couple of incidents with obstacles, and also time penalties added to the final times of two crews, but overall, a good time was had by all. Excellent refreshments afterwards in the October sunshine - thanks to Angus and others for the cakes, and Hagen for towing. The Bewl crews that took part are listed below with Hagen and Rod winning Mas D/E and Sarah and Jonathan winning Mx Mas D/E. Full results and further details are available on the Pairs Head website. Bewl had 27 entries at Maidstone Head. 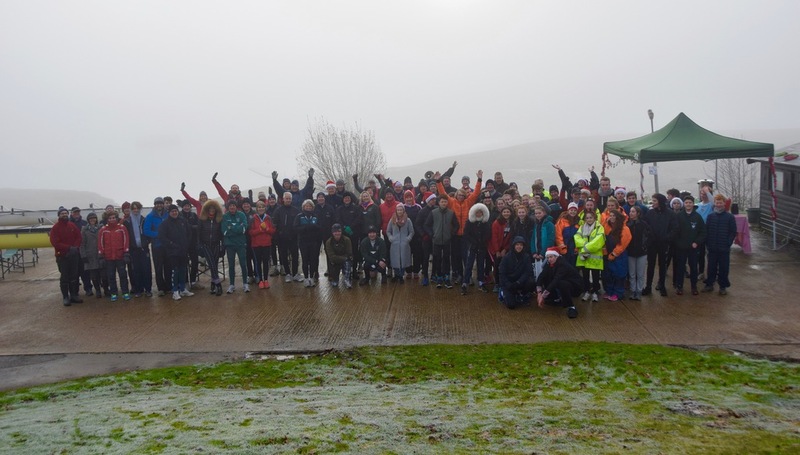 We had a fantastic event, bringing our Juniors and Masters together. We had 7 wins. 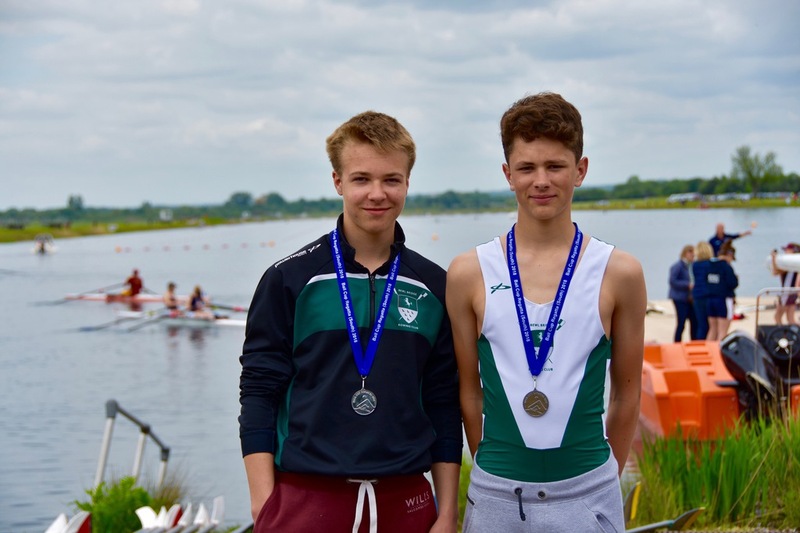 Masters D Hagen and Rod, IM2 Mike and Ben, WJ14 2X Biba and Martha, WJ14 4X+ Abbie, Biba, Martha, Jess, cox Alex, J17 2X Tim and Will, WJ18 4X+ Mary, Ashley, Hannah, Alex, cox Abbie, WN 2X Ella and Saskia. 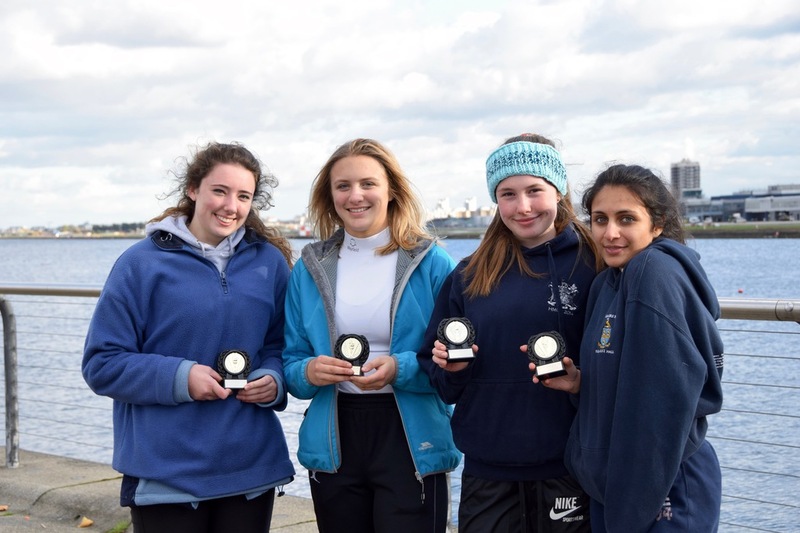 A big congratulations also to our developing Junior squad, some of which was their first event. You did great... Thank you again for the Aitken Combie providing bacon butties, coffee and tea. 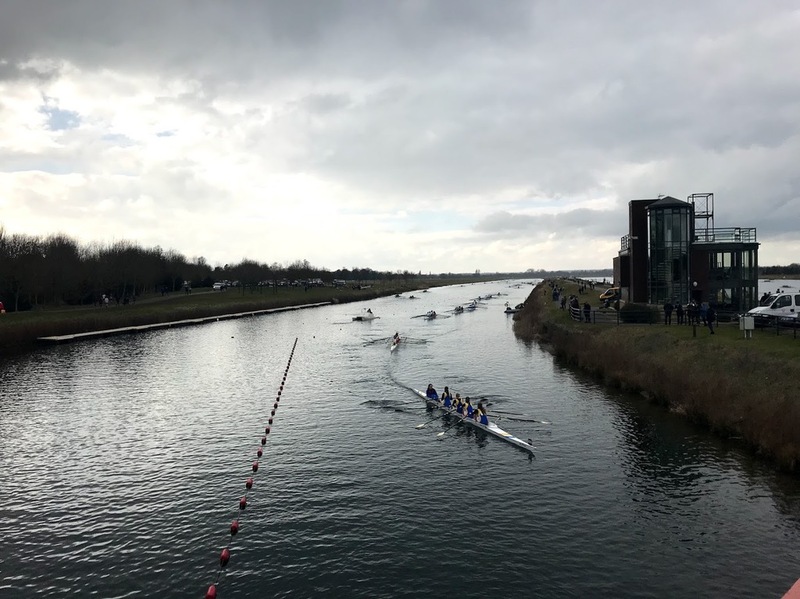 Bewl had two wins at Wallingford Long Distance Sculls - a challenging upstream course of 4.2k with over 500 crews in the various categories. 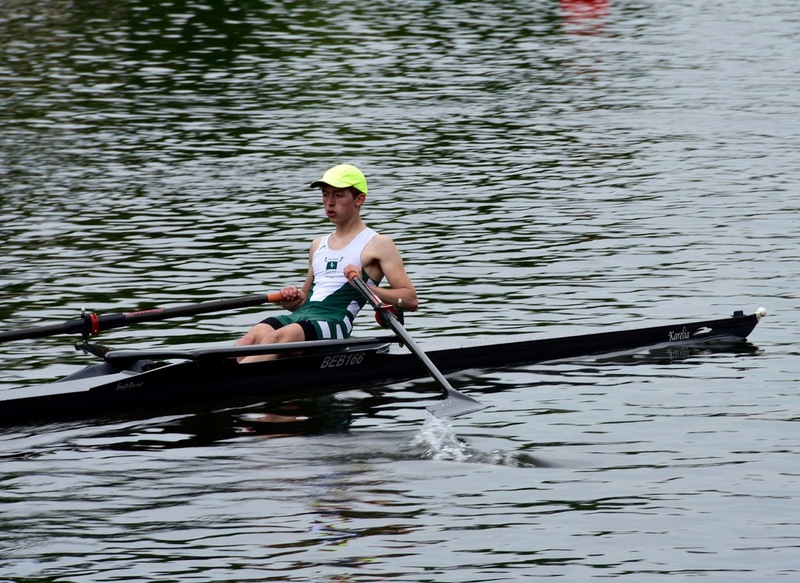 In the morning division Jonathan Morris won Mas E 1x, while in the afternoon division Sarah Morris comfortably won WMas E 1x. 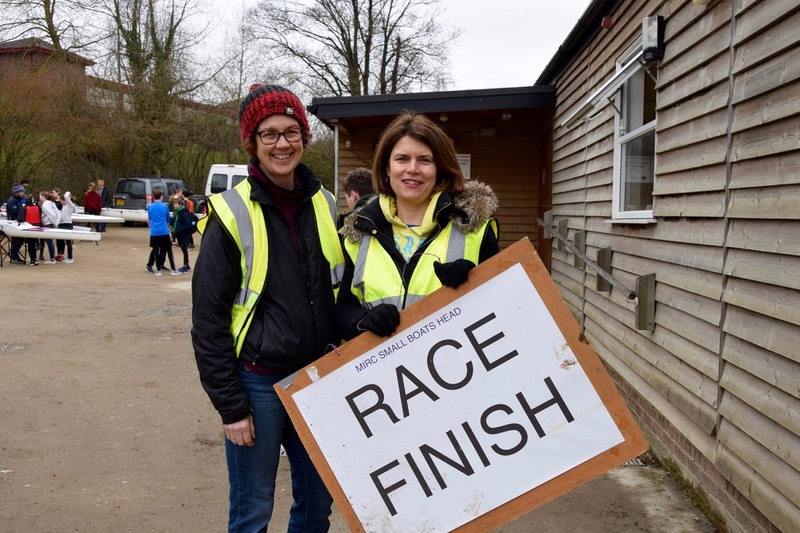 All very well organised by Wallingford Rowing Club, with large numbers of helpful marshalls and volunteers making it an enjoyable event. 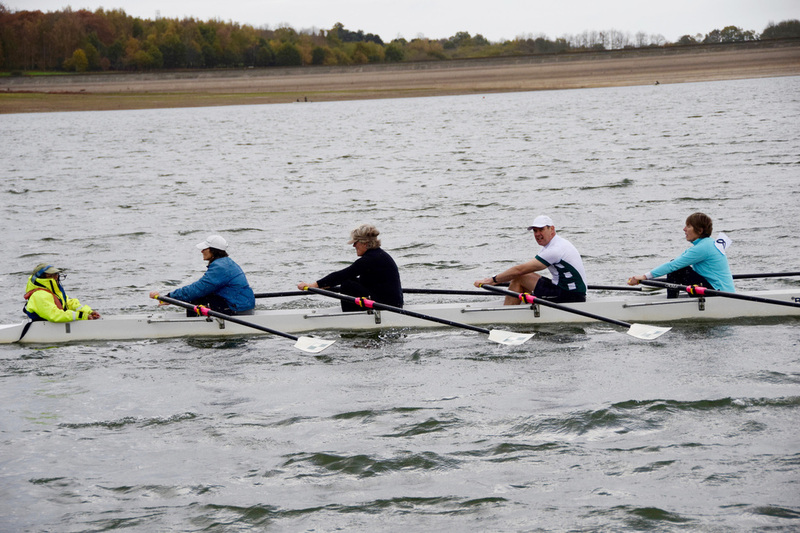 Two Bewl crews entered the 21.6k race from Denver in Norfolk to Ely in Cambridgeshire. There was a very strong southerly wind all day which meant a direct headwind for the whole course, so no course records were going to be threatened. It was estimated that the headwind slowed the largest boats (eg an eight) by about 10 minutes, and the smallest boats (singles) by eg 20 to 30 minutes compared to a "good" year. Jonathan and Sarah Morris beat the other mixed masters doubles (MD2x and MC2x) in a time of 1 hour 43 minutes 17 seconds and were also the fastest overall masters crew in all categories. Rowena Suthers raced her single (ME1x). She finished in a very respectable 2 hours 18 minutes 18 seconds, beating about 30 other boats of various ages and descriptions, including some womens' doubles, a mixed double and womens' singles. As usual, excellent hospitality afterwards at the Isle of Ely rowing club. A good event to aim for as a start to autumn/winter training.